Our favorite UK wedding blogger Rock N' Roll Bride shared with us her latest photo shoot and of course it is beyond awesome. All this pink goodness was captured by David McNeil in Paris. 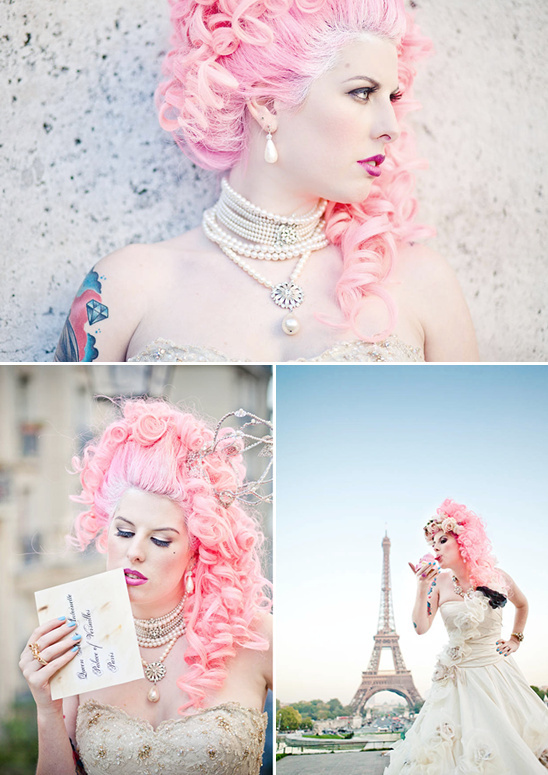 Kat goes into detail below how this Marie Antoinette themed shoot came together on her blog. Be sure to check out the entire shoot by clicking here.